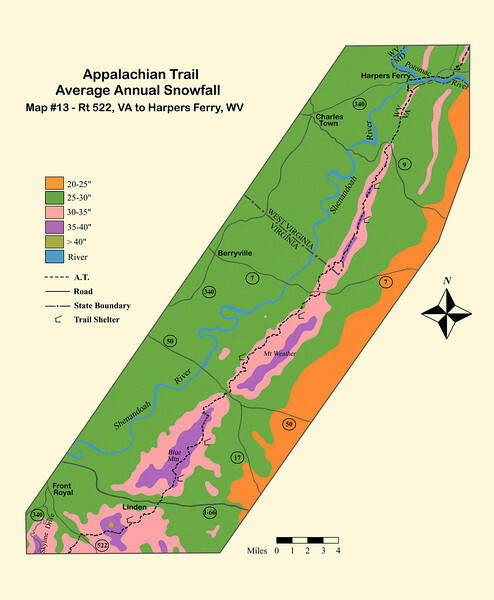 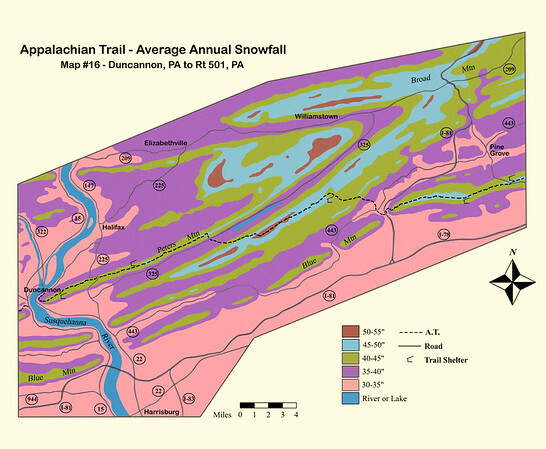 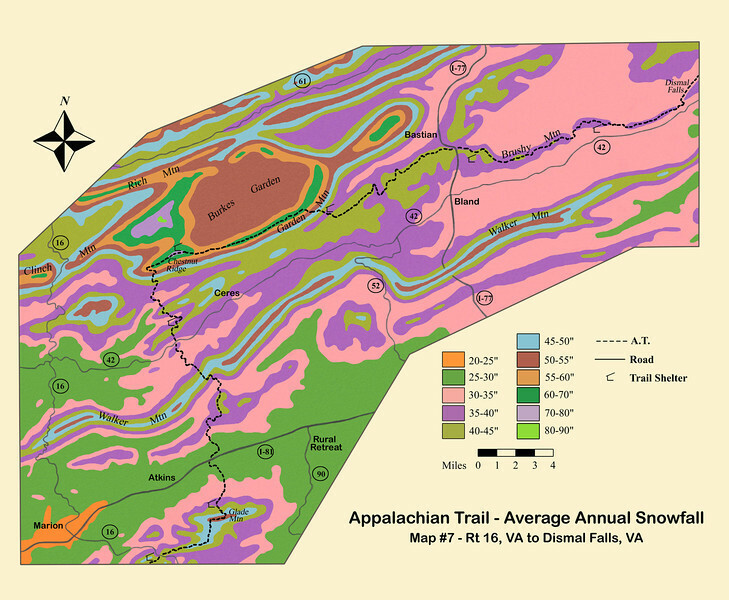 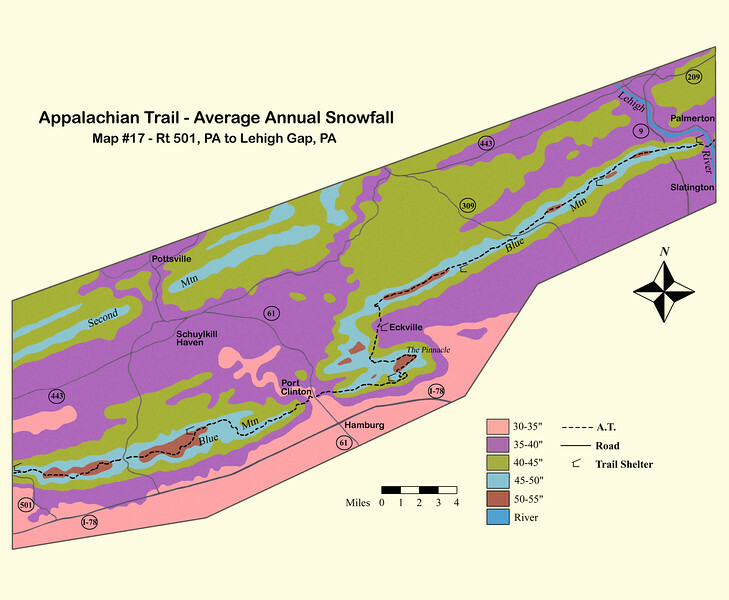 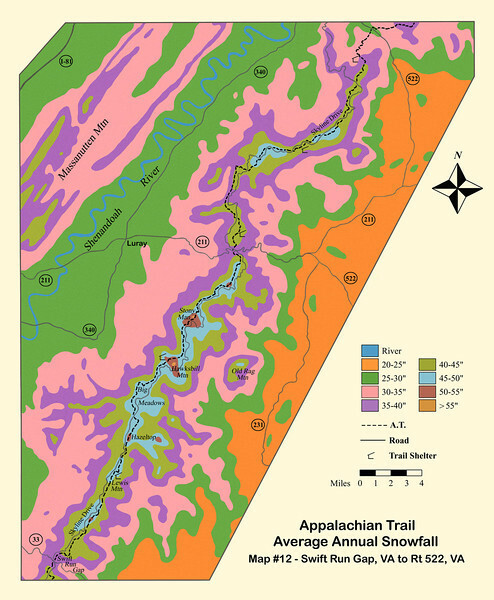 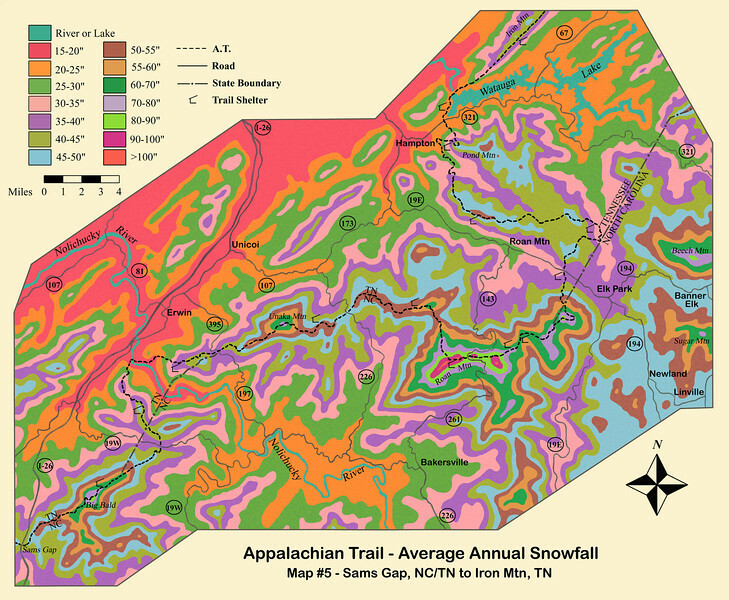 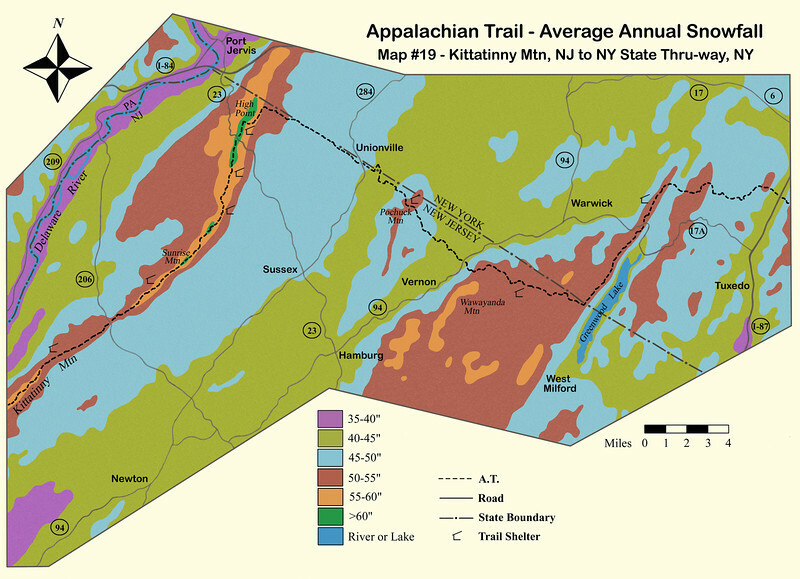 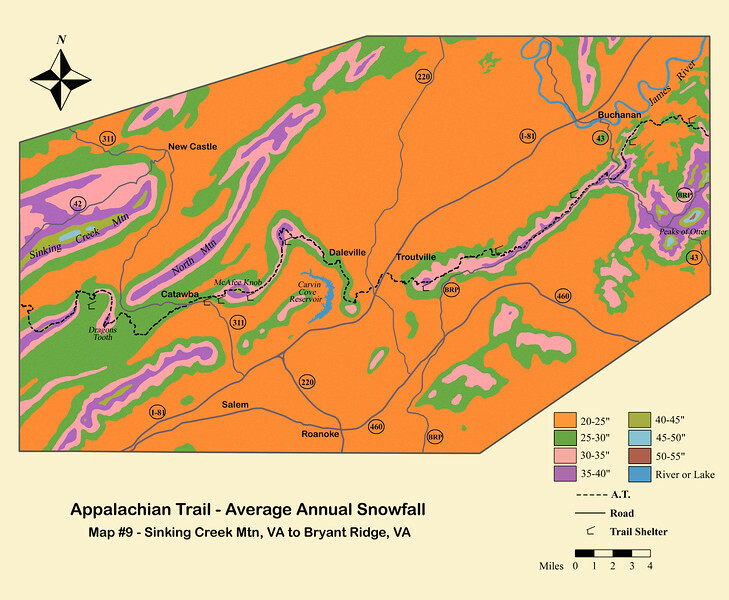 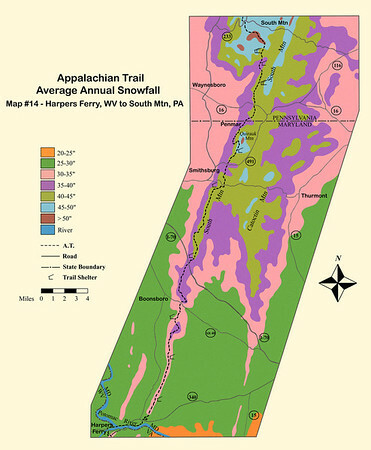 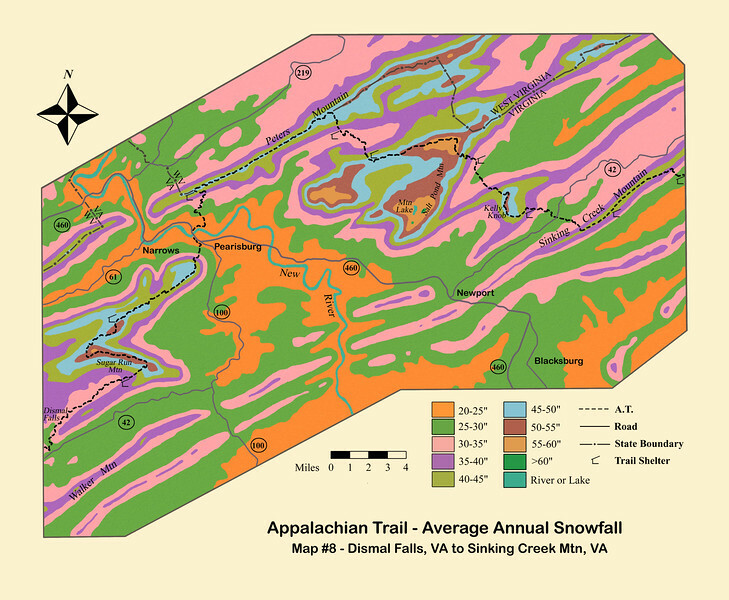 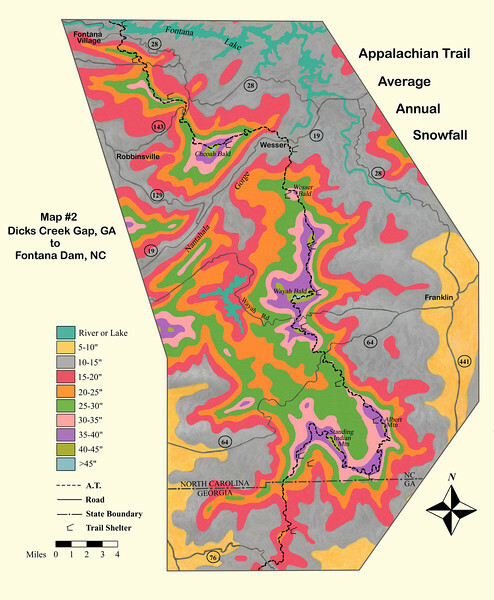 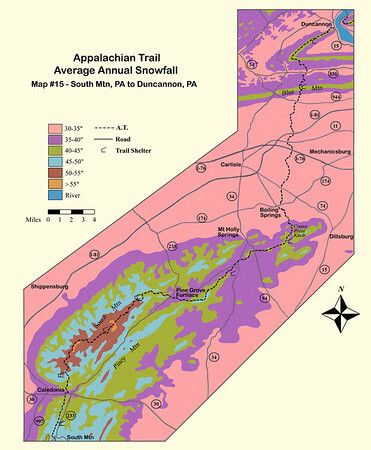 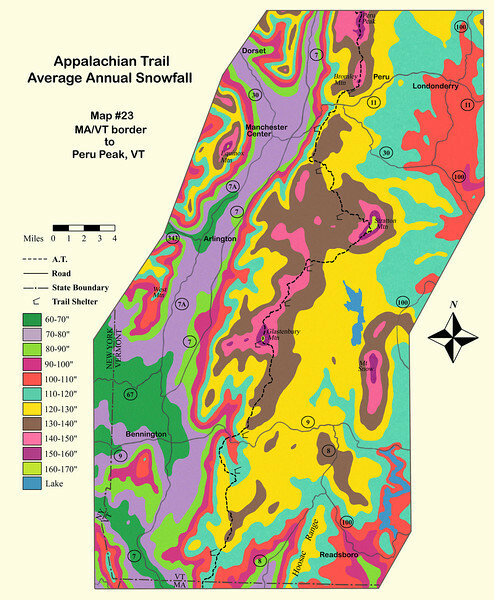 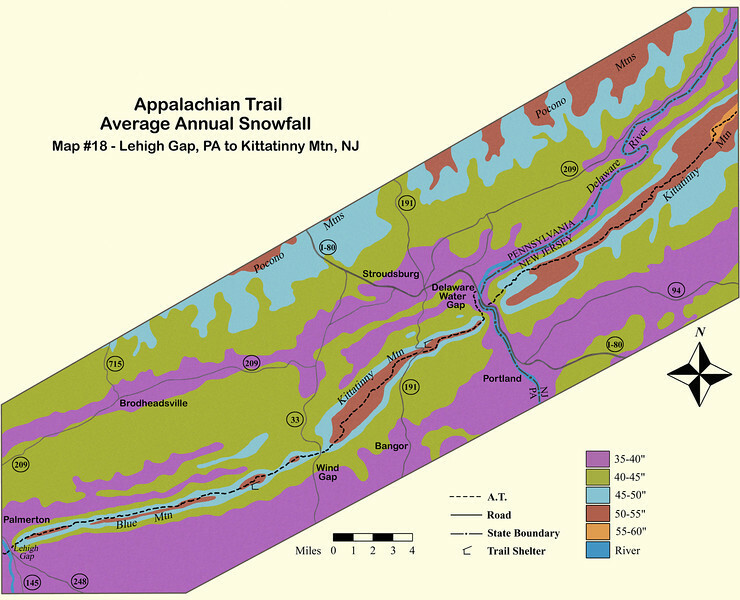 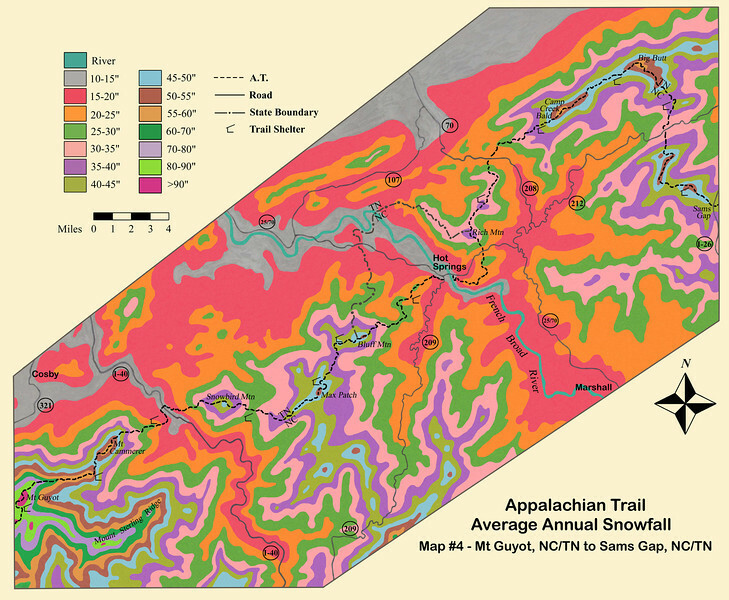 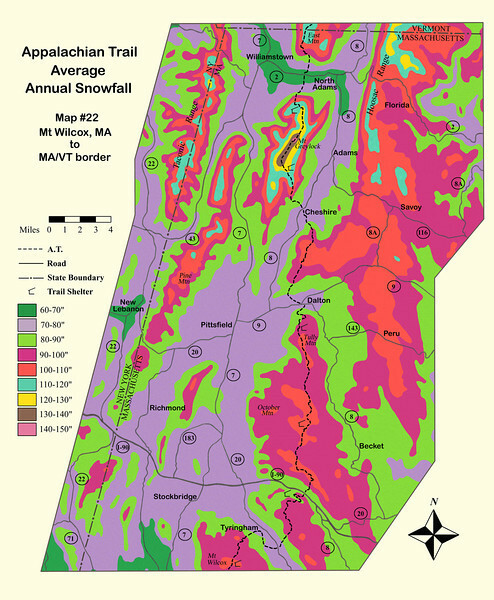 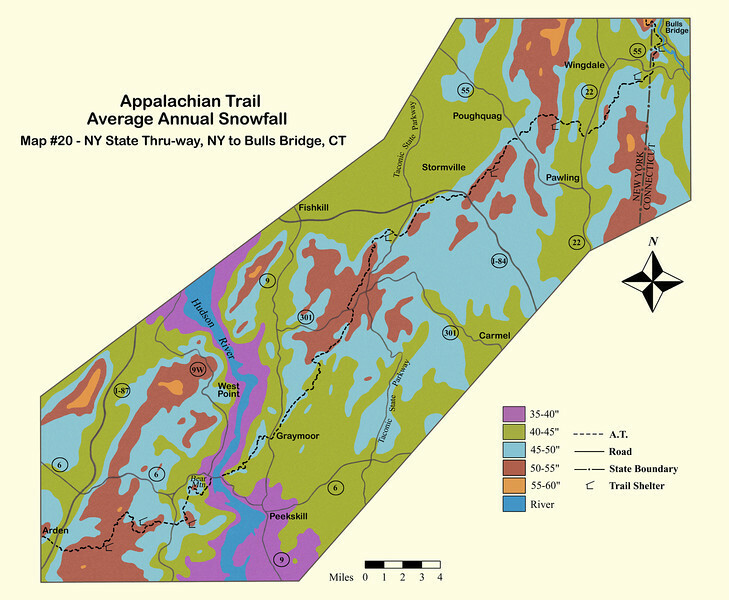 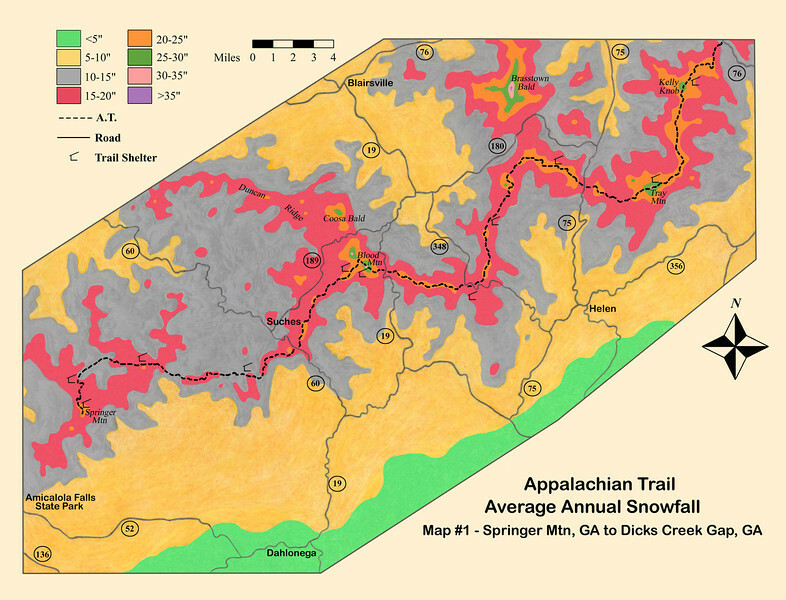 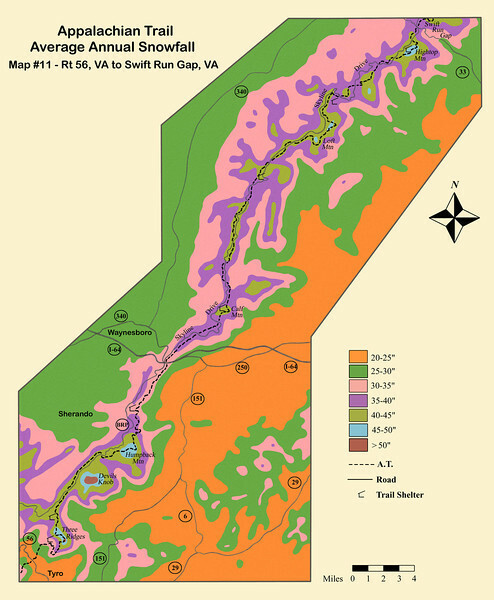 A series of 30 hand-drawn maps depicting annual average snowfall along the entire Appalachian Trail corridor from Springer Mountain, GA to Katahdin, ME. 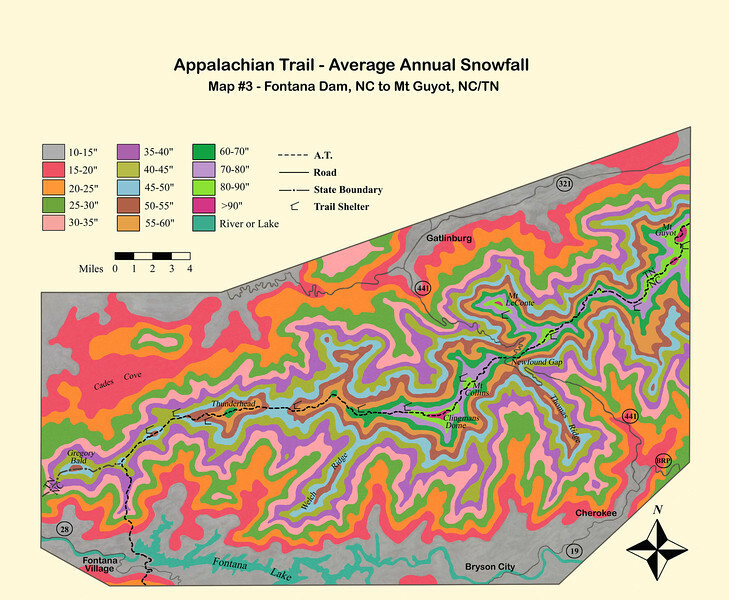 A planned website will include animated versions, background info, data sources, and a variety of project photos documenting the several-year history and process of creating the maps. 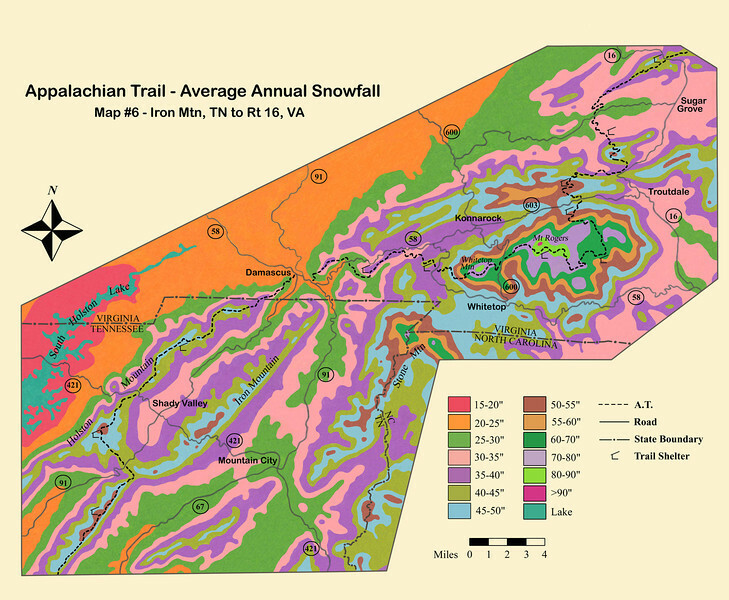 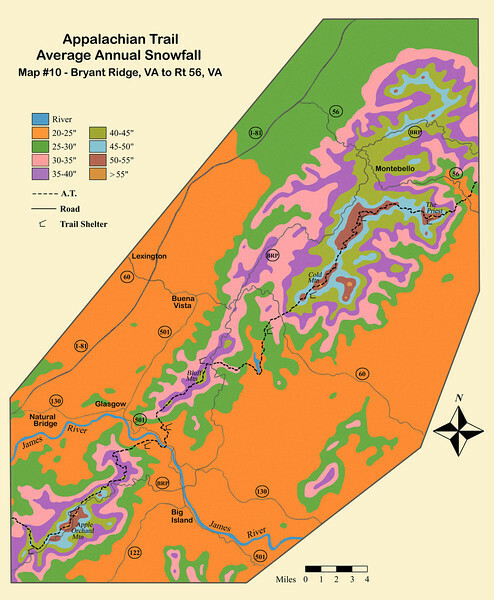 When viewed as the original zoomed-in size, you'll get a much better sense of the texture and detail these maps offer. 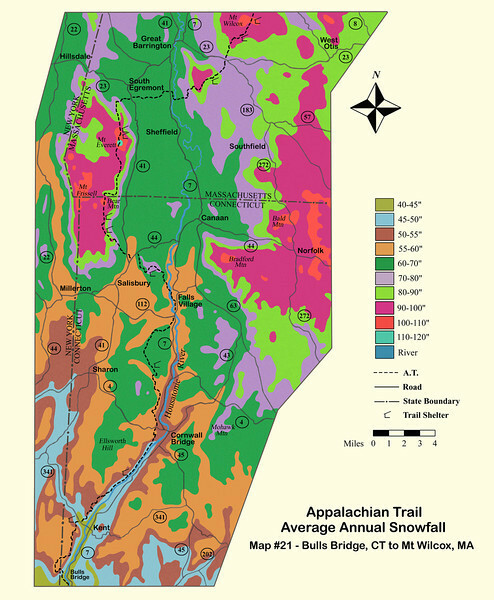 The full resolution originals are freely downloadable, and the "Buy Photos" button is for ordering prints.